You'll have to forgive me but I'm combining several things into this one post. For the first time, I'm joining in on the Weekly Wrap-Up at Weird, Unsocialized Homeschoolers to talk about the past week. 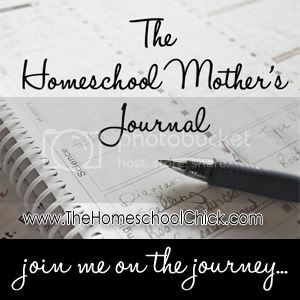 I'm also participating in Tot School at 1+1+1=1 and The Homeschool Mother's Journal on The Homeschool Chick. This is a very picture heavy post so I've put it under the cut below! Not a whole lot going on really - did some babysitting and got the paperwork to get Zeke signed up for baseball hopefully. Hubby is working a lot but did have Saturday & Sunday off which was very nice. It was also nice to get outside a little this week - we are ready for spring to get here so we can be outside more, though! We did lots of fun things! We tried out the vinegar/baking soda experiment and Zeke LOVED it! Zeke has also been enjoying the new workbooks his Aunt got him - and I can't believe how fast he's flying through them. I'll read him the directions and set him to work and a minute later he's running into the next room to show me his work! Yep, he IS wearing his sister's hat...sorry, Future Zeke but you wore this for several hours on this particular day! Bahaha. We attended the first chicken sale of the year on Friday night and WOW, was it busy. It's a small town and it's free to attend so I guess everybody views it as free entertainment! I guess I should mention that it's not *just* a chicken sale - they have other animals and items for sale - we just always refer to it as that. Prices were crazy but we did end up getting a cute little duck. It's still very shy and nervous but the chickens seem to have accepted it. Ellie also enjoyed eating the cereal. Do you have animals that you care for or that are part of your homeschool? Zeke helped me a lot this week cleaning up the area around the chicken coop, emptying the water dishes & filling them back up and feeding them. After we got the duck on Friday night, we did some research on the computer about ducks. We found a website with TONS of pictures of different kinds of ducks and talked about what made them different. Earlier this week Totally Tots shared a really cute idea about making a personalized ABC book! Definitely going to try and make one of these for Ellie! LOL at Zeke wearing his sister's hat! We all have fun photos of our kids! Stopping by from the Weekly Wrap-up! Yep, adult Zeke just might be upset about that pic when he gets older! ;-) It looked like all of you had lots of fun last week. I loved the fact that Zeke pretends he's on Chopped and your newest member of the family is so cute! The last pic of Ellie is so adorable! Can't wait to see how your ABC book turns out!